While expected rates in your location may be high, several factors may interfere. Moon phase is not ideal for gazing at the Leonids meteor shower. The peak of this shower occurs three days after a Full Moon, so the bright moonlight may obstuct your viewing this year. 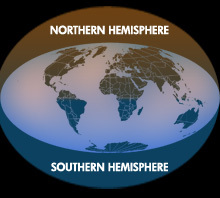 The Leonids are noted for producing some of the most spectacular shows across much of the night sky, especially during 1833, 1966, 1999, and 2001. 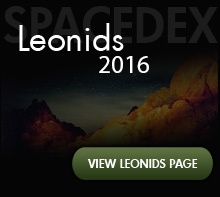 In 2016, the Leonids are best viewed on the night of November 16th though the morning hours of November 18th. Eager sky watchers who are fortunate enough to have completely clear skies may witness between 15 and 20 meteors per hour. The Leonids meteor shower can be seen all over the world, but the best viewing opportunities will be for those who are able to find an area unobstructed by structures and that is far away from city lights. If you happen to live near a brightly lit city, we recommend that you drive away from the glow of city light. Using optical devices such as binoculars or telescopes is not recommended, as your field of view will be greatly restricted, thus making the possibility of missing a "shooting star" more likely. 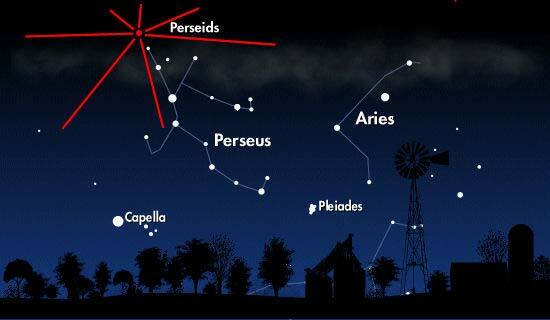 For the best view, gazers should face east toward the constellation Leo (The Lion) and look slightly overhead. The meteors will radiate from the constellation Leo, which rises in the southeast around midnight. Leo is the radiant of the Leonids meteor shower, which means that meteors appear to come from within the constellation. In 2016, the Leonids will peak during an unobtrusive Waning Gibbous Moon, which will make for great viewing circumstances. Stargazers may be obstructed from observing the faintest Leonids meteors. Local conditions such as cloud cover, light pollution, and precipitation will also play a major role in the number of meteors you are likely to see. Spacedex wishes you and yours a magnificent viewing experience! Meteor showers are named after the constellation which they appear to be falling from. This shower is best known for producing strong meteor storms about every 33 years. The next time this will occur is November 2023. Keep in mind that any local light pollution or obstructions like tall trees or buildings will reduce your making a meteor sighting. Give your eyes time to dark-adapt before observing.